During the 2016 Eurobike show, the Hayes Components booth was home to one of the most comprehensive ranges of mountain bike products going. 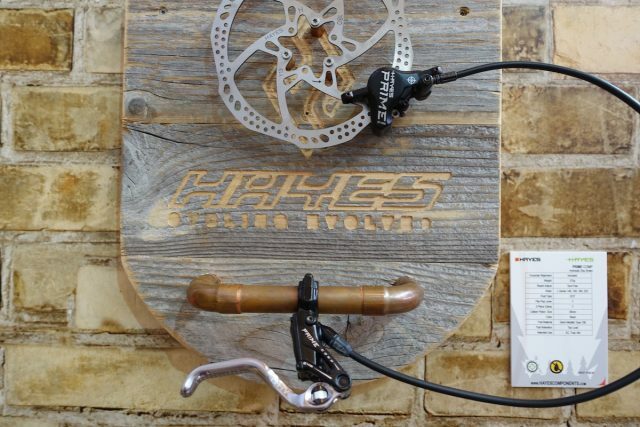 Hayes has a number of different brands under its broad umbrella, including Answer Components, Manitou Suspension, Sun Ringle Wheels, Wheelsmith Spokes, and of course, Hayes Brakes. 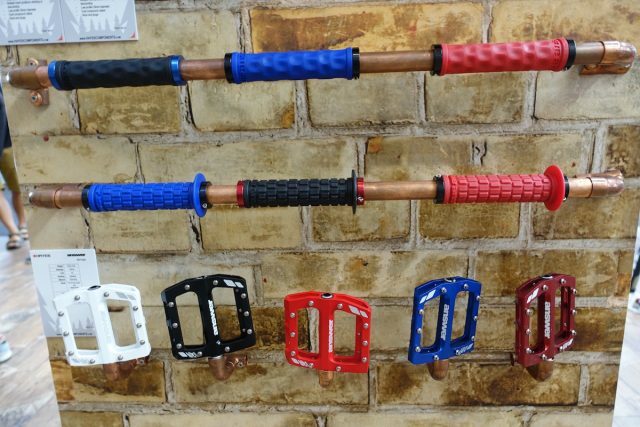 With the exception of drivetrain bits, they’ve got pretty much most of the gear needed to get a mountain bike frame rolling. 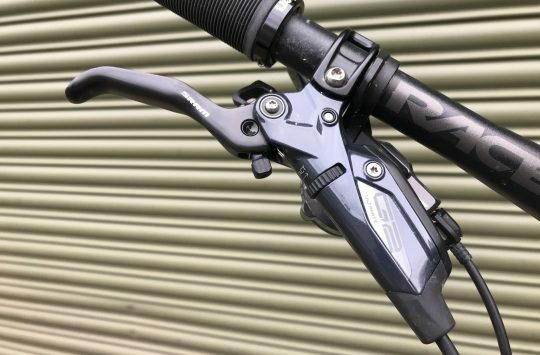 For the 2017 model year, Hayes continues to evolve and fine tune its current range, with nothing drastically new or ground breaking, but mostly general refinements across the board. 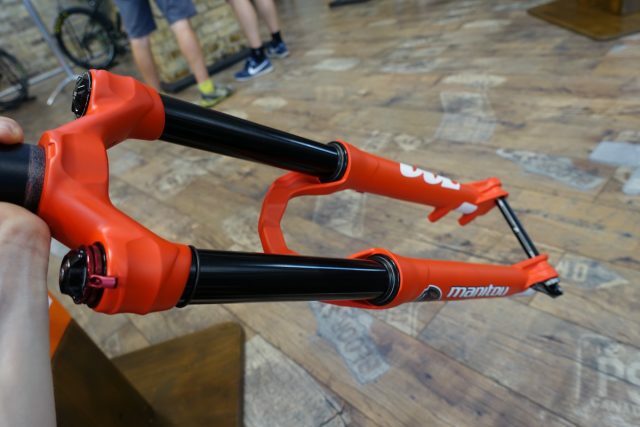 However, they did have some new Manitou fork tech to show off, as well as some brand new wheel options from Sun Ringle. First introduced at Eurobike back in 2013, the Manitou Mattoc fork has become one of the brands most popular products. 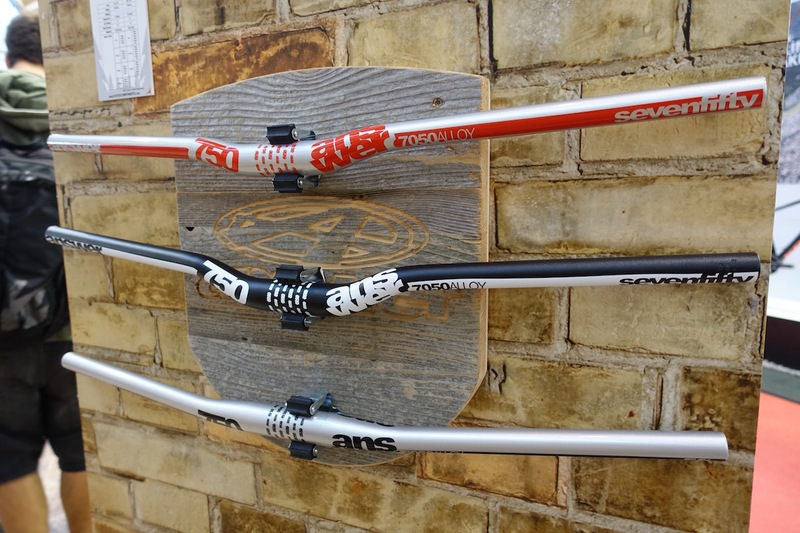 It’s a 160mm travel all mountain slider, and it has since been updated with new guts and a new axle. 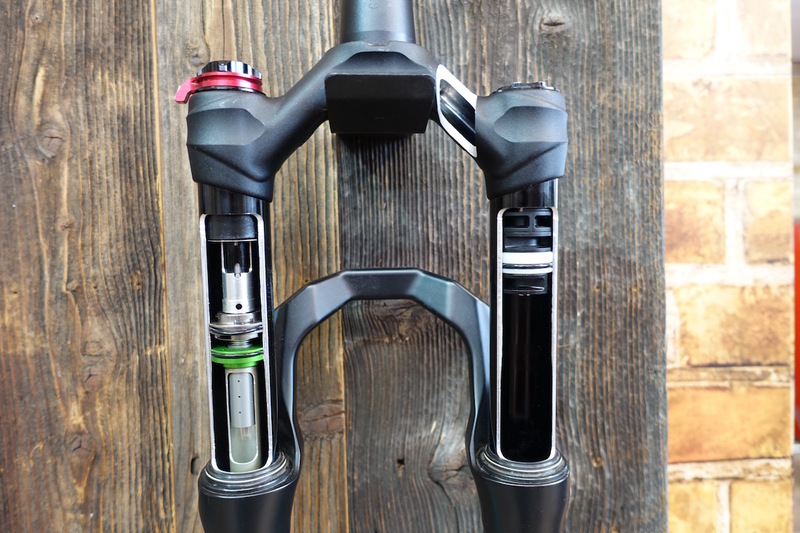 The Manitou Mattoc Pro 2 was introduced earlier this year, and it features a new system for adjusting air spring volume. 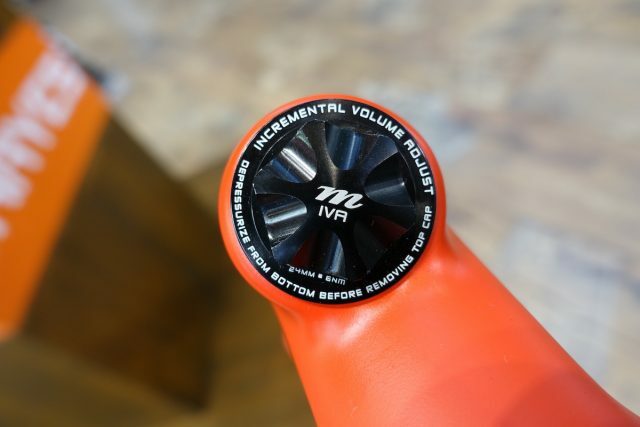 Called Incremental Volume Adjust (or IVA for short), this feature is for tweaking the spring curve in the Mattoc’s 160mm of travel to deliver a more linear or more progressive feel. A fork cutaway shows us the damper side (left) and the air spring side (right). 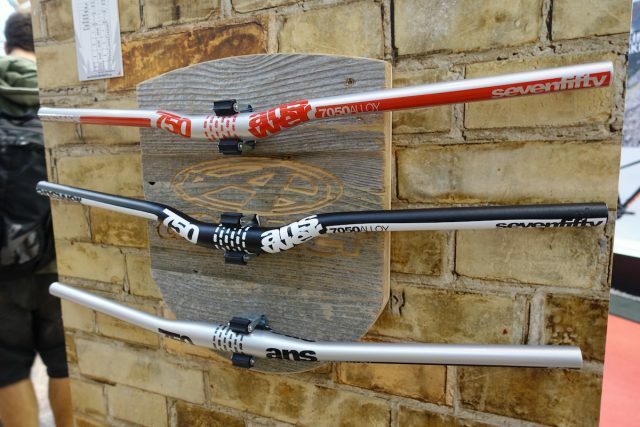 The IVA system consists of several plastic chips, not unlike the RockShox Bottomless Token system. 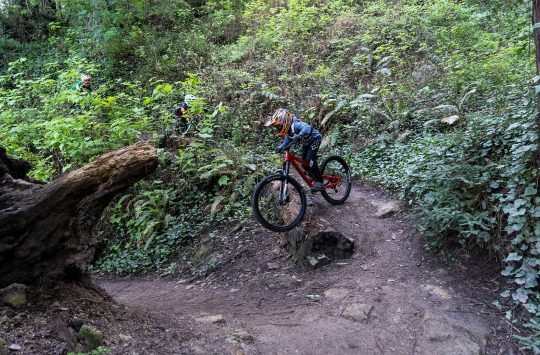 Where Manitou’s system differs is that you don’t remove or add chips to the stack, you simply move the chips above or below the stack to adjust volume. 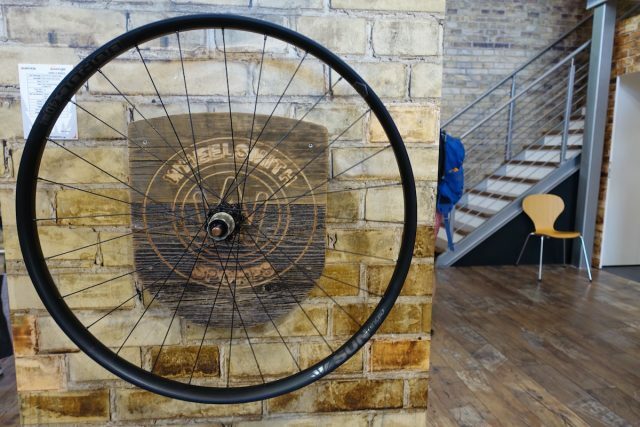 The advantage here is that you’re less likely to lose the plastic chips in the deepest, darkest corner of your workshop. 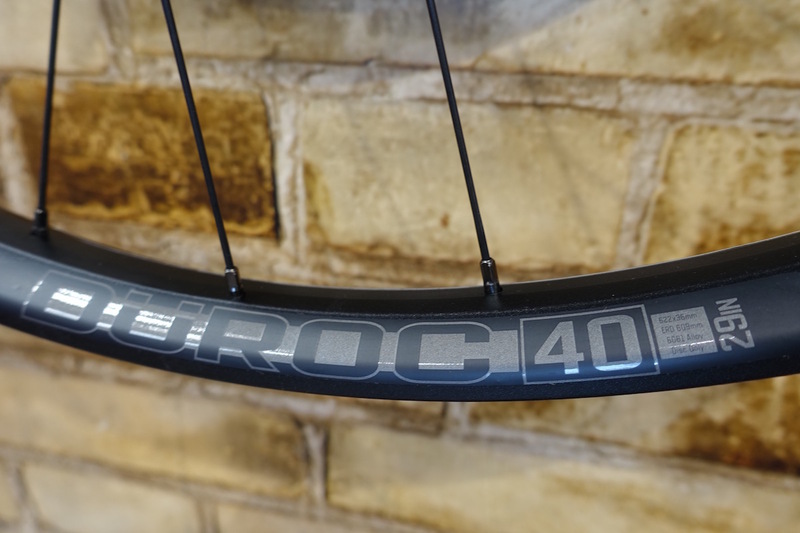 Also new is an all-black colour for the Mattoc Pro 2. 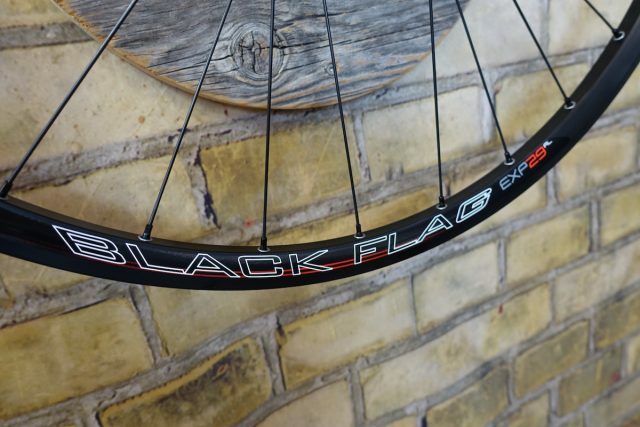 Because black is badass. 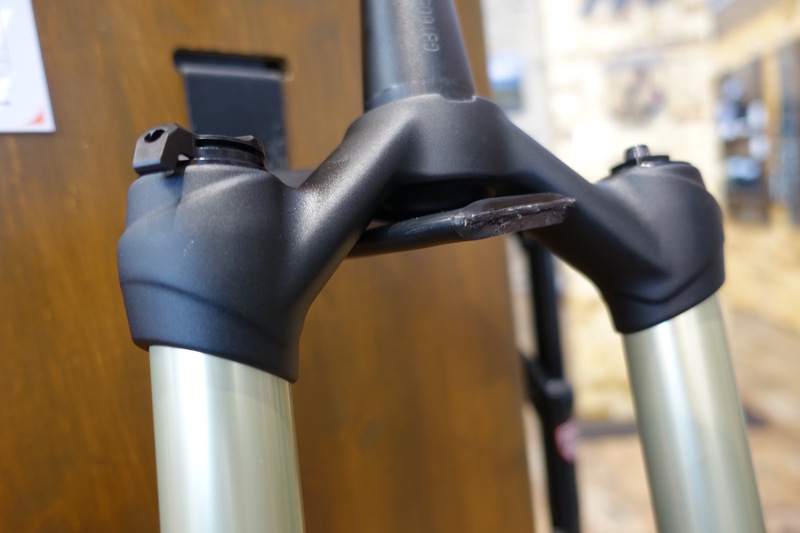 Shot of the heavy sculpting going on the back of the Mattoc’s distinctive reverse arch magnesium casting. 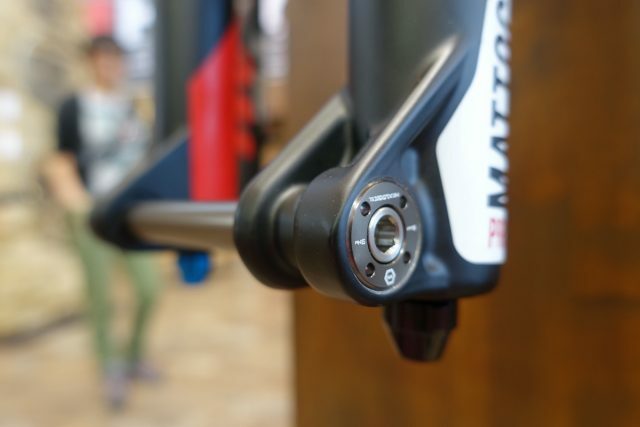 Also new is the move to a bolt-up axle rather than the Hexlock system found on the previous Mattoc. 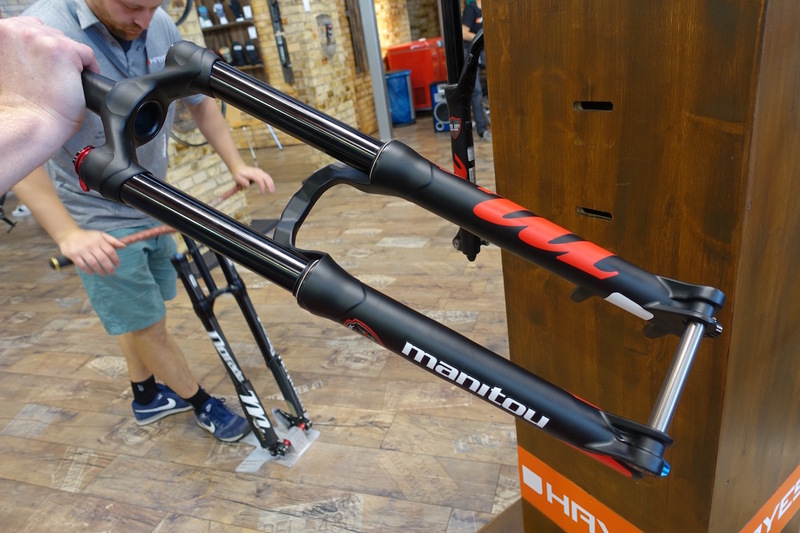 Manitou decided that the cleaner aesthetic was worth the move, and that most riders typically carry a multi-tool with them anyway. They also admitted that while the Hexlock axle worked really well, some riders found it confusing to use. The Machete joins the Magnum as another plus fork in the Manitou lineup. 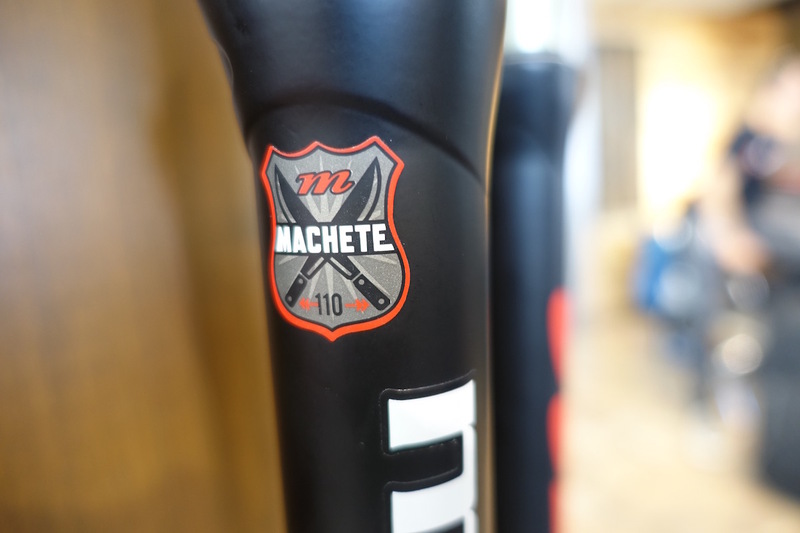 The Machete is the budget-friendly option. 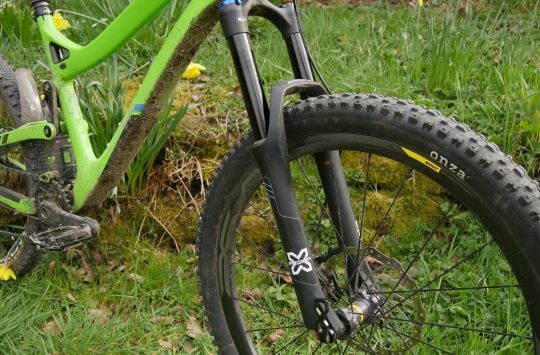 Despite being cheaper than the Magnum fork, the Machete still comes with an air spring, adjustable rebound damping and a crown-mounted lockout. New plus-sized wheels from Sun Ringle in the form of the Duroc. 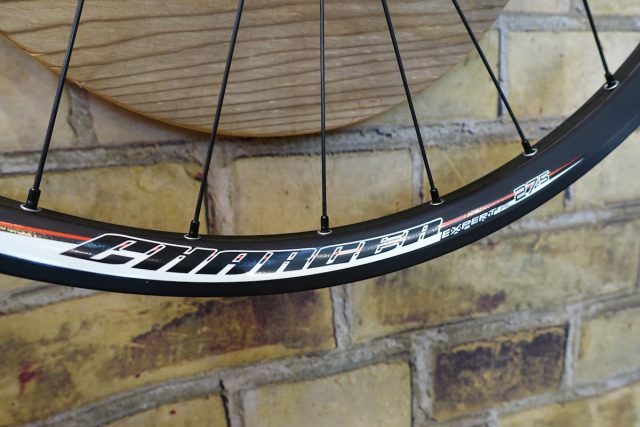 Same hubs as found on the Charger wheels, just with wider rims. The Duroc 40 features a 36mm internal rim width, which means its about right for 2.5-2.8in wide plus tyres. The Duroc 50 wheelset features a 46mm internal rim width, meaning it’s borderline fatty, so you could fit up to 3.8in wide rubber before you’d likely need to go to the Sun Ringle Mule Fut wheels. 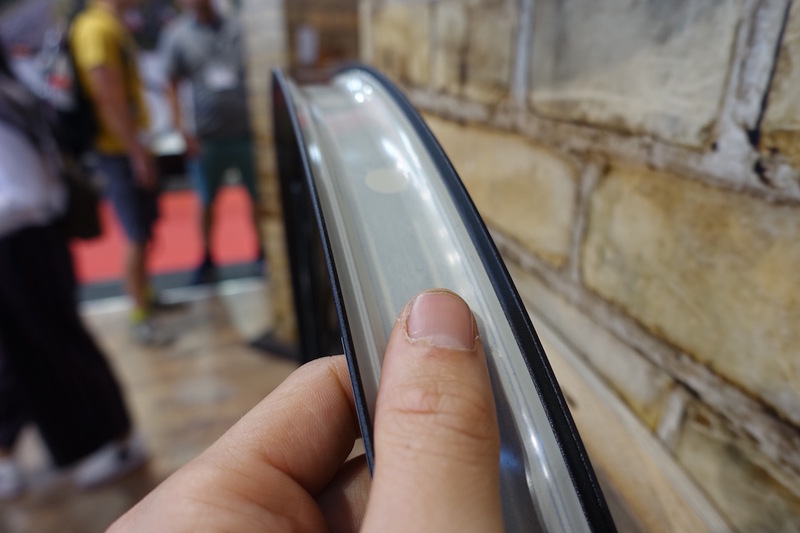 That’s got some girth for sure! 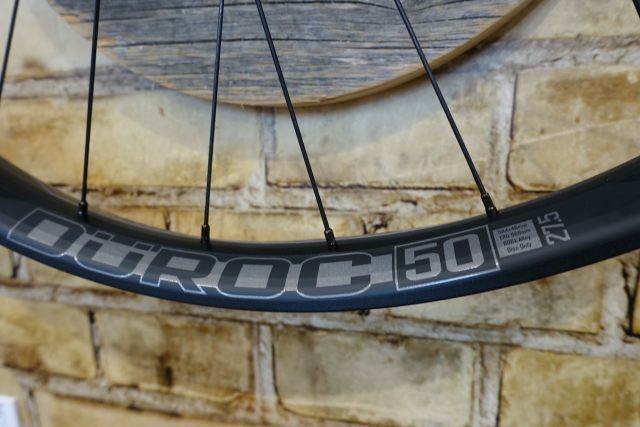 Both Duroc wheelsets are available in 27.5in and 29in diameter options, and while the front wheel is only in Boost 110x15mm spacing, the rear hub can be had in 142x12mm or 148x12mm options. Claimed weights range from 1950-2200 grams. Sun Ringle’s existing Charger and Black Flag XC wheelsets now get a cheaper alternative in the ‘Expert’ option. Whilst sharing similar dimensions to the higher-end Black Flat Pro Sl wheelset, the Expert model substitutes a cheaper hubset and regular double butted spokes to bring the price down. Impressively, Sun Ringle still include tubeless rim tape and valves with the complete wheels. 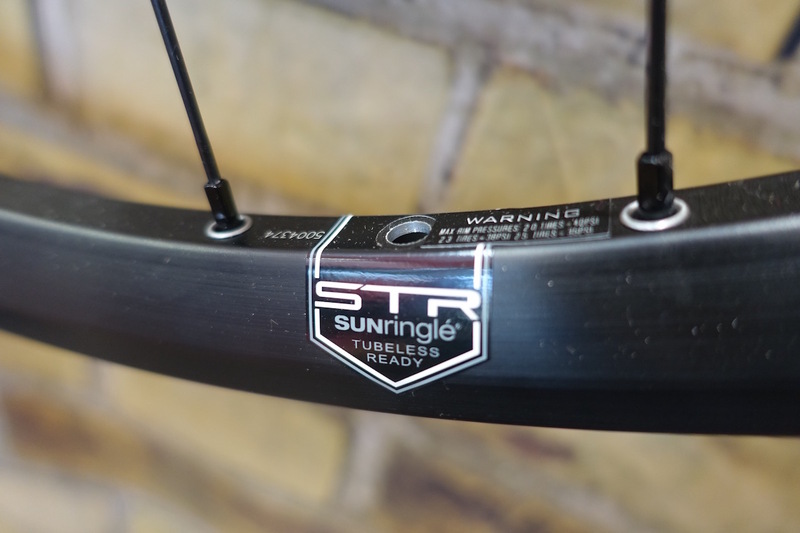 Sun Ringle license the BST design off of Stans No Tubes, so they’re designed for easy tubeless setup out of the box. 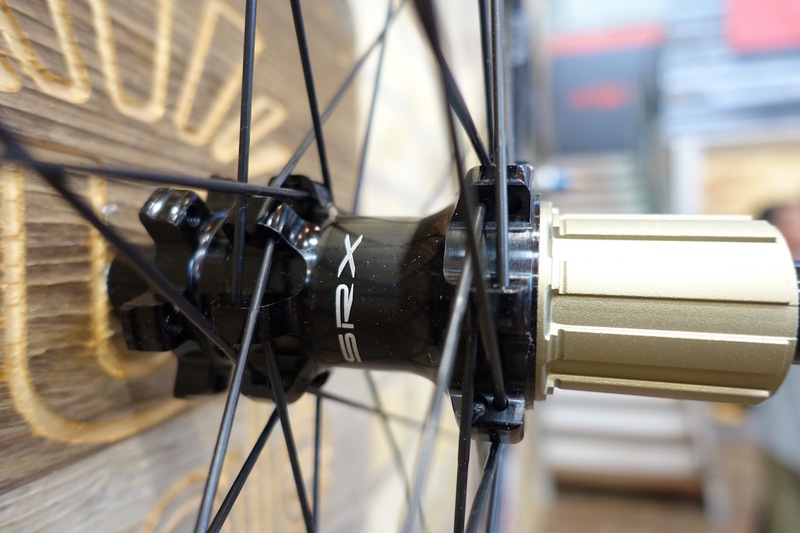 The alloy hubs still feature sealed bearings, but the SRX level hubs get a cheaper 3-pawl mechanism rather than the faster-engaging 4-pawl mechanism used on the Pro SL wheels. 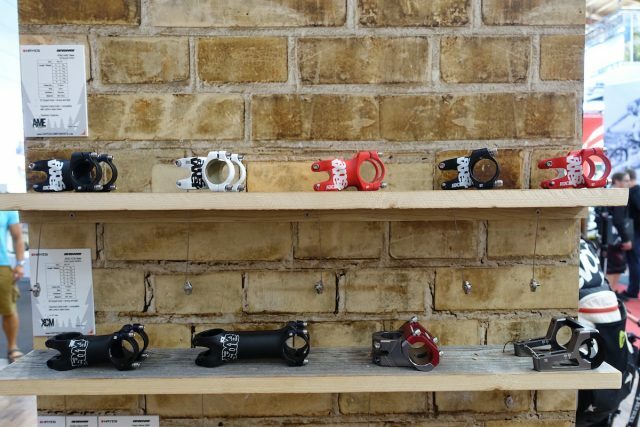 With all complete wheels, you’re also provided with all of the hub axle adapters in the box, as well as a Shimano and SRAM XD hub drivers. 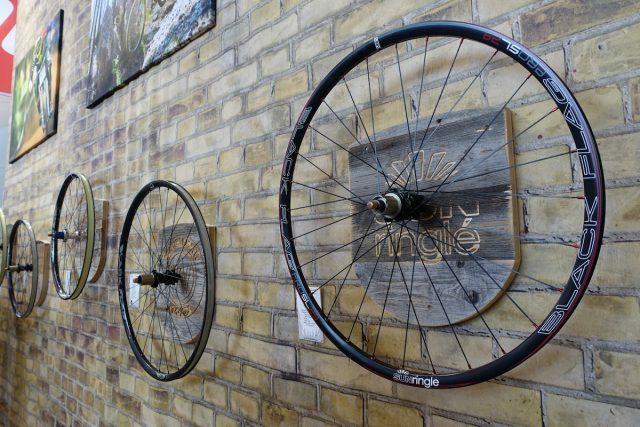 We can’t think of any other companies who do that, as most wheel companies require you to purchase different freehub bodies separately. Whereas the Black Flag is the XC wheelset, the Charger is the wider and burlier all mountain option, with a 27mm external rim width. 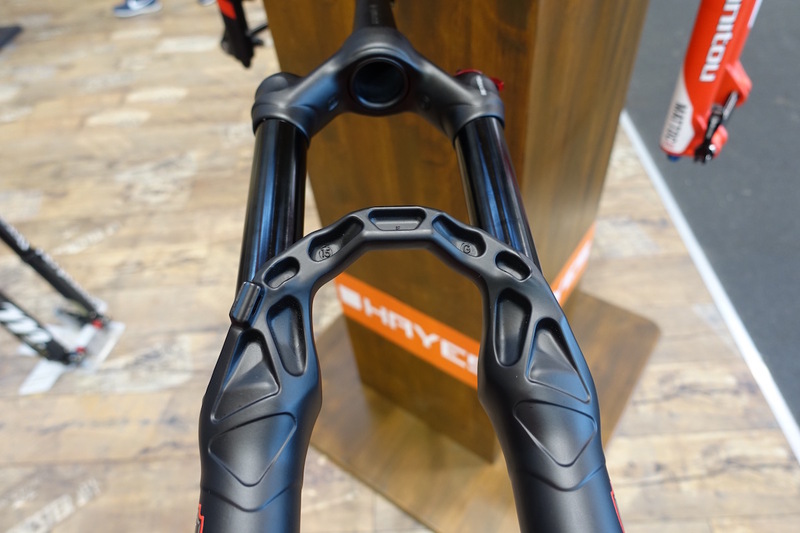 Answer also had their range of trick forged alloy stems on display. 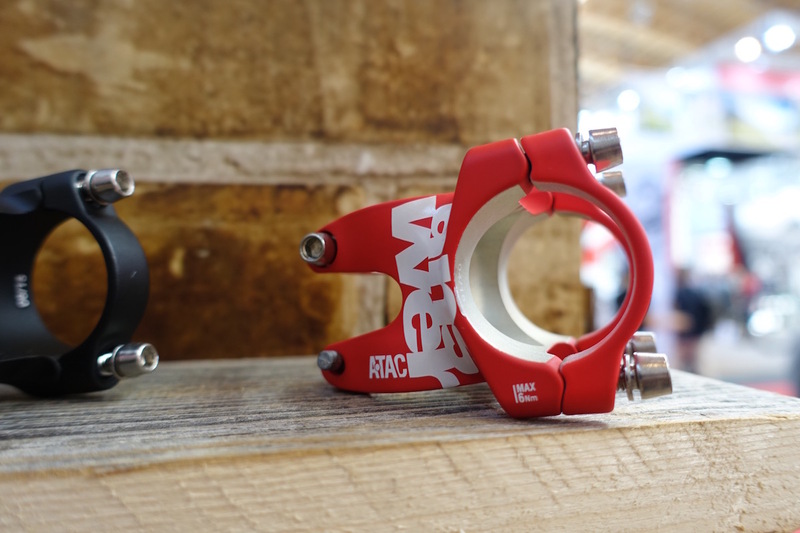 Including this stubby 30mm long AME stem, which claims to weight just 100 grams. 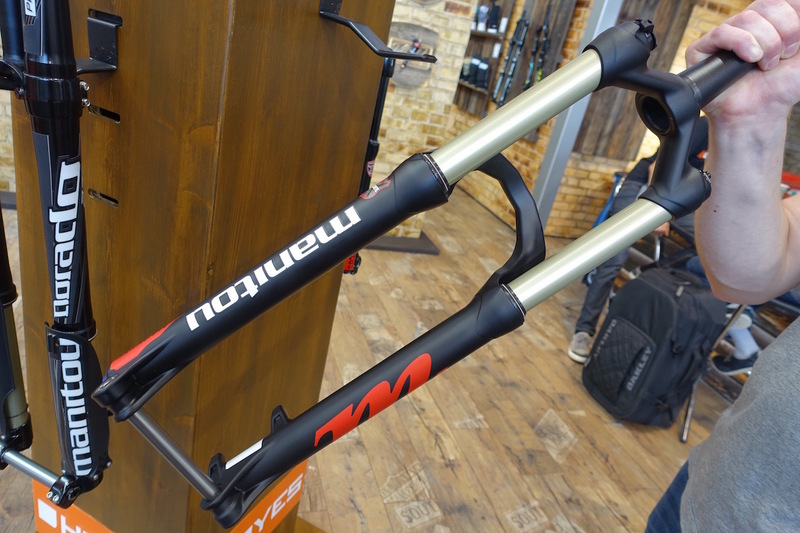 Nice to see some carbon bars with a bit of colour. 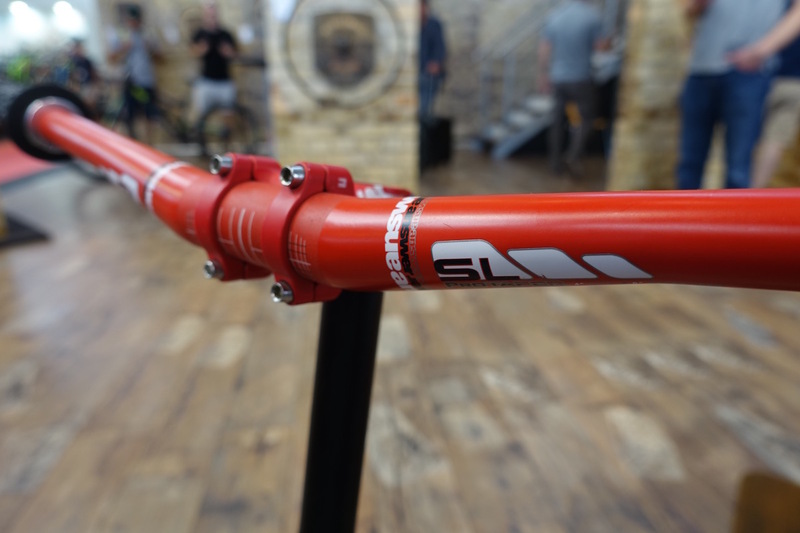 In this case, it’s the Pro Taper SL bars matched with the AME stem in a matching matte red colour. 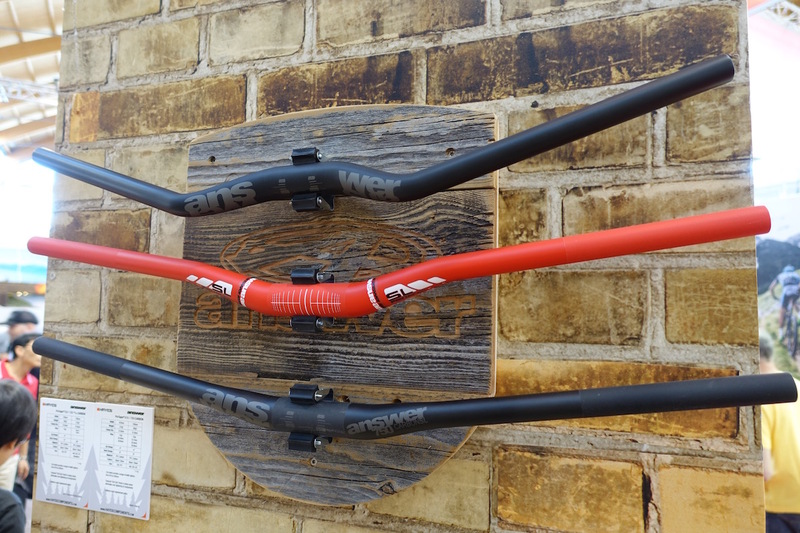 Answer have widened out all of their new handlebars to be in line with current trends. These carbon options are all available in a 750mm width. We’ll give you one guess to work out what width these anodized alloy bars are. Lots of colourful grips and pedals from Answer Components too. 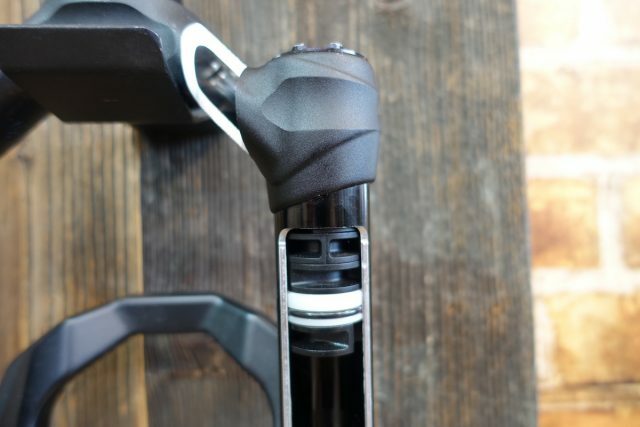 Those dimpled grips look super weird, but we’ve used them before and they’re surprisingly comfortable, and very soft to the touch. 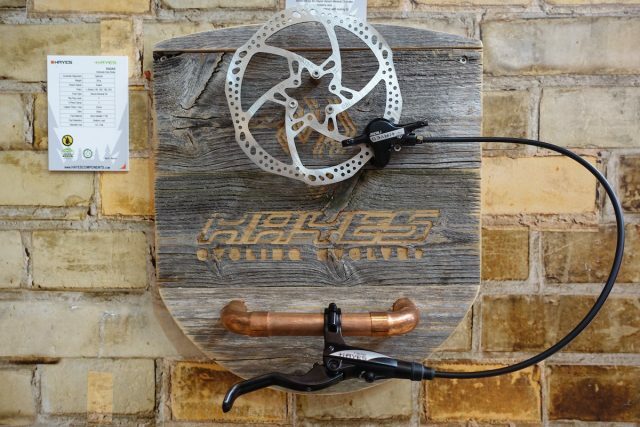 Rounding out the Hayes lineup is their hydraulic disc brake offerings, including their budget-oriented Radar model that we’ve been spotting on a few more OEM bikes lately. The Prime remains as Hayes top-end hydraulic disc brake. 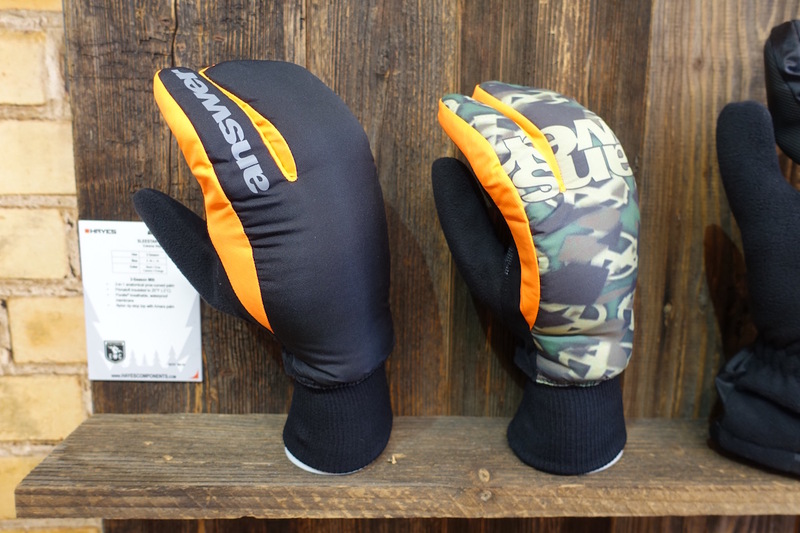 New gloves from Answer, with some cosy winter ones that we really don’t want to think about right now. But they do look pretty sweet, especially in that camo colourway with the orange highlights. 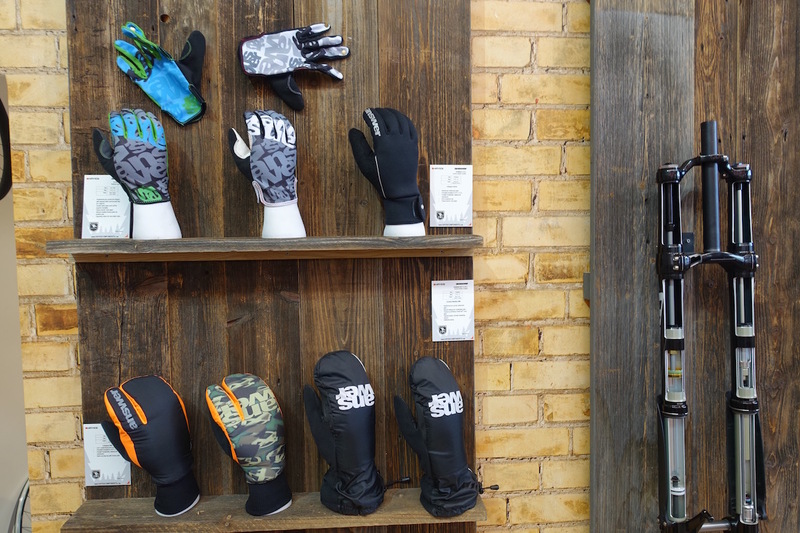 Built for sub-zero temperatures these ones. Well spotted JamesD and thanks for the pickup!